Let’s say, you go to a sushi restaurant a little more luxury than usual. There is a menu in front of you. “In this situation, I would like to drink sake” I bet you think so. You see a menu of sake. Something is written in the menu but you don’t know what is written. Only technical terms are lined up there. A server is coming. You may give up choosing yourself and ask for the server recommendation. Then you choose the most expensive one from the server’s recommendation among the sake list. Or, simply you select something that has a name sounding good. The served sake may be delicious and may not be delicious. But the first problem is not there, you also will forget what you drunk this time when you will visit the next sushi restaurant in the future. So you can’t choose sake again as today. 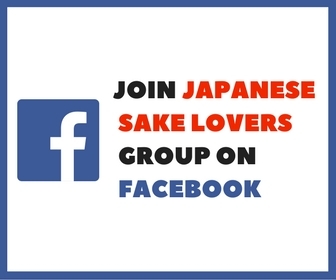 So on this page, I will show you how to choose sake in a restaurant. There are four words in Japanese to explain the taste of sake. 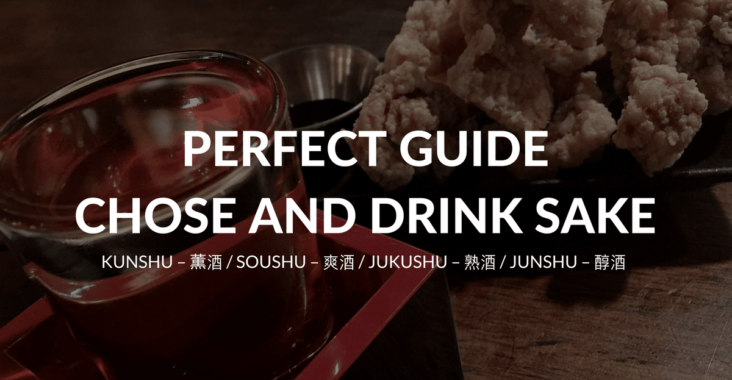 Kunshu – 薫酒, Soushu – 爽酒, Jukushu – 熟酒, and Junshu – 醇酒. 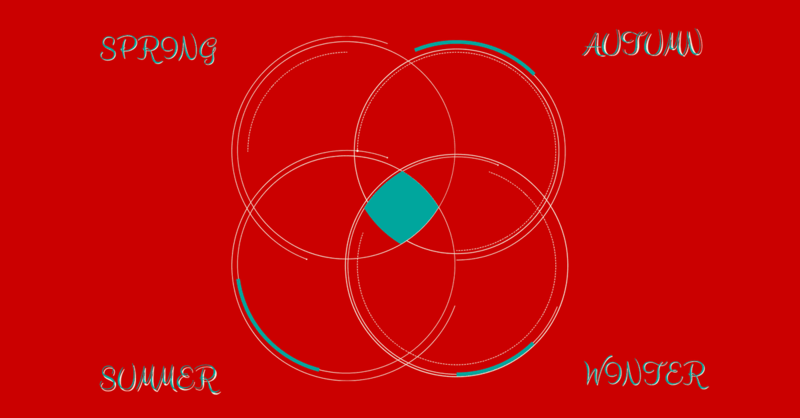 Each term can be expressed by such a diagram. Kunshu is a sake with a fragrance and a refreshing feeling. Therefore, Kunshu is a sake that is often chosen as an aperitif. Because it has a strong scent, it is also difficult to match with meals. If you are drinking as a meal during the meal, it would be a good idea to match with a citrus-style refreshing seasoned dish. Soushu is fresh and light sake. It is a sake that you can enjoy together with various meals because it is a simple flavor. Jukushu is a sake in which a unique scent remained strong by aging sake. Because this sake has strong taste as well as fragrance, it is best if you match with strong tasting food. For example, it goes well with hard type cheese or curry. 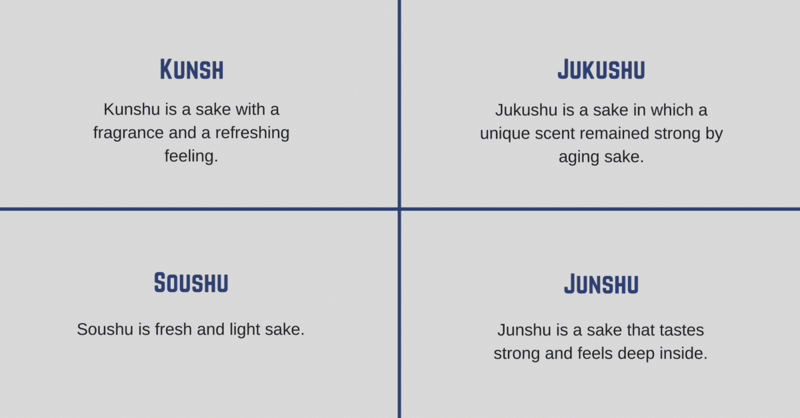 Junshu is a sake that tastes strong and feels deep inside. A cuisine compatible with this type of sake is a rich dish using butter and cream. It is a sake that is compatible with Italian. Some people think Sake is always hot. But, it is not true. Fruity and fragrant sake is really delicious when it is chilled and drunk. Sake is drunk at various temperatures as the name changes every time the temperature changes by 5 degrees. This is a table showing temperature and name. Basically, Kunshu which originally has a strong fragrance and Soushu which is characterized by a fresh drinking feeling, it becomes delicious when you drink it cold. We recommend you to drink from 5 degrees (Yuki-bie) to 10 degrees (Hana-bie). Jukushu type sake having strong flavor and taste will be delicious if you drink with room temperature or warm up a little lukewarm. It is recommended that you drink from 18 degrees (Hiya) to 40 degrees (Nuru-kan). Junshu type sake with strong taste and less fragrance is delicious when drinking from room temperature to hot. 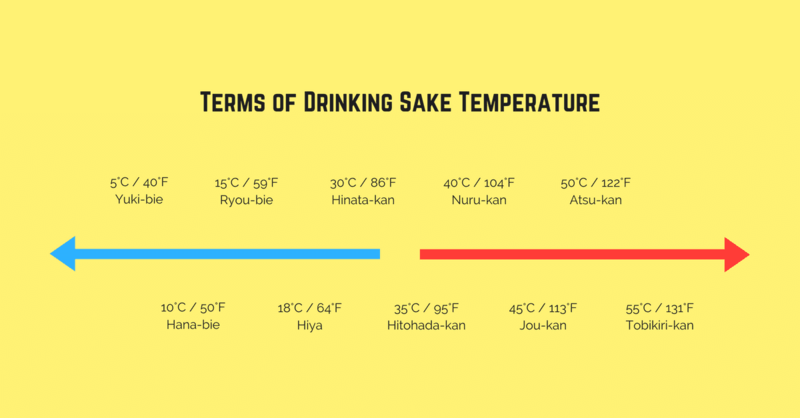 It is recommended that you drink from 18 degrees (Hiya) to 50 degrees (Atsu-kan). For sake, various versions are sold for seasonal even with the same brand name. However, drinking seasonal sake besides Japan is very difficult. The reason is that it is difficult for many sake to import while stabilizing the quality. There are also procedural problems in importing. Therefore, it is not easy to enjoy sake by season in countries other than Japan. So let’s enjoy Kunshu and Junshu witch are best to be drunk with cool temperature in summer, and drink Jukushu and Junshu with hot temperature to warm your body! Wine has a glass for white wine and a glass of red wine. Sake also can enjoy the scent and taste further by choosing the type of the glass depending on the taste. 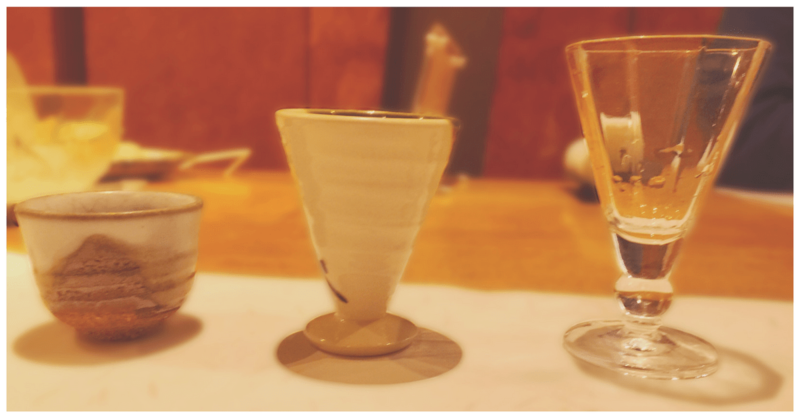 When drinking sake with a strong scent Kunshu or Jukushu type, it is suitable for a glass shaped like a round to have a scent, or a spread shaped glass to explode aroma. Especially Jukushu has a strong taste, so if you drink a small amount slowly with brandy glasses it is cool. When drinking sake with a strong scent Kunshu or Jukushu type, it is suitable for a glass shaped like a round to have a scent, or a glass shaped like a scent spread out to explode. Among them, Jukushu has a taste of sake, so it is cool if you drink a small amount slowly in a brandy glass. As Soushu type sake is delicious as it is chilled, I recommend dishes made of material that can not be warmed as much as possible. Junshu type sake can be drunk delicious regardless of what kind of glass you choose. Let’s enjoy using Choko, which is a small traditional sake bowl. When you drink sake, I always recommend you to drink water as a chaser. 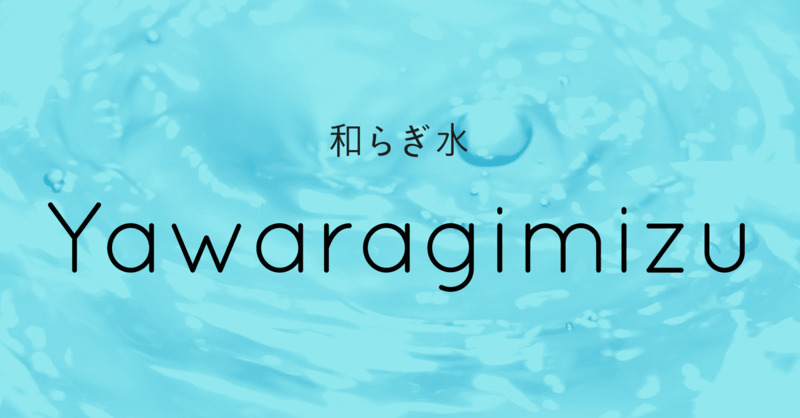 This water drunk with sake called Yawaragimizu (和らぎ水) in Japanese. If you drink this, you can avoid to be drunken and reduce the risks to become hung over. In addition, you can change your taste with drinking water. For example, if you drink water after eating steak, your tong will be refreshed and you can drink sake with good condition. What is Premium Sake Rice? What is Sake Alcohol Percentage? 5 things that Kikuhime is committed to making you want to taste it right now! 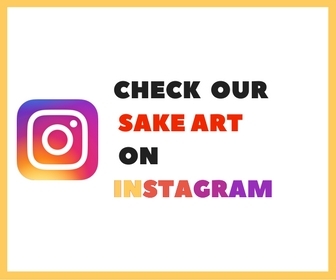 Copyright © 2019 Japanese Sake Lovers. All Rights Reserved.